These reddish-brown looking insects have been a cause for discomfort and concern for many households across the world. They are mostly found on the bed or anywhere near the bed because of their tendency of liking areas where it is warm. However, they can spread from one home to another through various ways making bed bug extermination difficult and best left to the professionals. Since their flat, oval body gives them the advantages of slipping through even the smallest of spaces, they are able to hide in cracks, crevices found in rooms, furniture and other objects. In apartment buildings bedbugs have been known to move from apartment to apartment through cracks on the walls or wire or pipe holes. Once they move to a new apartment, they multiply and still spread to other apartments through the same medium. 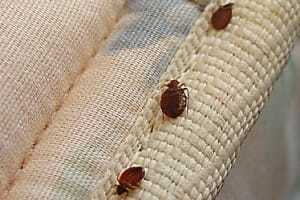 Bedbugs have also been known to spread by attaching themselves to people’s clothing or luggage when travelling. One passenger might have them in their luggage having perhaps gotten them from a hotel or another home where they might have stayed for some time. People are often the major spreaders of bedbugs and unknowingly spread them when they move from one place to another. Bedbugs have also been known to spread via portable objects such as laptops, DSL ports, tablets and any other electronic gadget that gets warm when in use. As long as it has little spaces where they can get in and hide then they are ideal for bedbugs. With people sharing and carrying these gadgets around the office, any hidden bedbugs could easily spread.